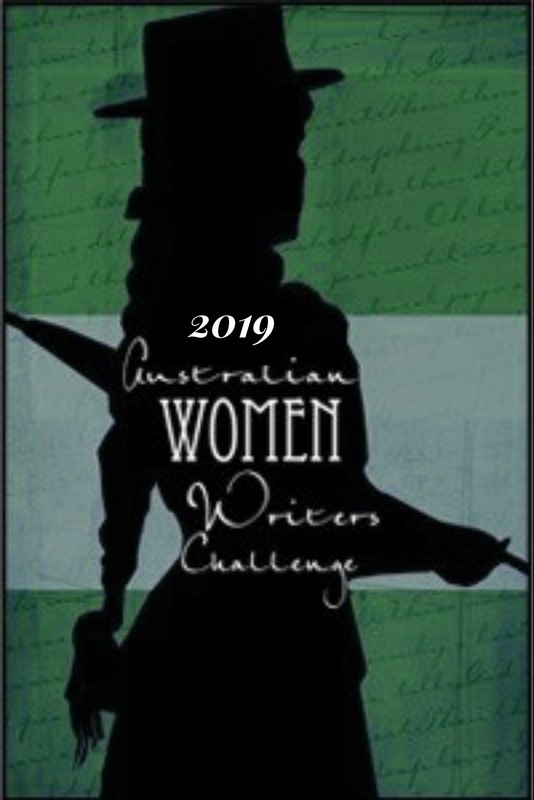 The following list provides links to texts by well-known and forgotten Australian women writers published in the 1860s and 1870s which are available either to be read online or for download. They are organised alphabetically by author in decade of publication. —–. Debatable Ground: Or the Carlillawarra Claimants (1861). Serialised in the Sydney Mail, ch1; links to other chapters available via the Australian Newspaper Fiction Database. —–. Myra. Serialised in the Sydney Mail, ch1; links to other chapters available via the Australian Newspaper Fiction Database. —–. “Lecture on Australian Literature” (1864; nonfiction report). Davitt, Ellen (1812-1879), Force and Fraud – available from Clan Destine Press. Australia’s first mystery novel (1865). Franc, Maud Jeanne , aka Matilda Jane Congreve (Birth name) and Matilda Jane Evans (married name) (1827-1886). —–. Golden Gifts. Serialised in Kapunda Herald (1867), ch1 here. Links to other chapters available at the Australian Newspaper Fiction Database. —–. Marian, or, the light of someone’s home : a tale of Australian bush life (1868) A romance with strong Christian themes. Note: ‘Marian’ reputedly is the first novel by a South Australian woman to be published in SA and the first novel set wholly in SA. Massary, Isabel aka Elizabeth Ramsay-Laye (1832-1932). Social life and manners in Australia: being the notes of eight years’ experience, Longman, Green, Longman and Roberts, London, 1861, 209 pp. Meredith, Louisa Anne. aka “EBBA”. Phoebe’s Mother (1866), serialised in The Australasian, ch1 here; links to other chapters via Australian Newspaper Fiction Database. Parkes, Clarinda**** aka Menie Parkes, “Alethea”, “Ariel” (1813-1884). —–. A Lonely Lot (1863), serialised in Sydney Mail, ch1; links to other chapters via Australian Newspaper Fiction Database. —–. Benedicta (1867), serialised in Sydney Mail, ch1; links to other chapters via Australian Newspaper Fiction Database. —–. Bitter-Sweet – So Is the World (1860), serialised in Sydney Mail, ch1; links to other chapters via Australian Newspaper Fiction Database. —–. Which Wins? A Tale of Life’s Impulses (1861), serialised in Sydney Mail, ch1; links to other chapters via Australian Newspaper Fiction Database. Spence, Catherine Helen** (1825-1910), aka “Miss Spence”. —–. Hugh Lindsay’s Guest (1867), serialised in Adelaide Observer, ch1; links to other chapters via Australian Newspaper Fiction Database. —–. Tom Hellicar’s Children (1871), serialised in Sydney Mail and New South Wales Advertiser, ch1; links to other chapters via the ANFD. —–. Tressa’s Resolve (1872), serialised in Sydney Mail and New South Wales Advertiser, ch1; links to other chapters via the ANFD. Baker, Hannah Newton (-1904). Little is known about this author, who published under the initials “H.N.B.” in periodicals such as Melbourne Review and Victorian Review. Bode, Ettie aka Bode, Mrs. J. A. aka Ettie E Ayeliffe (1836-1920). —–. Old Love Letters (1870), serialised in The Adelaide Observer, ch1 here; links to other chapters via the Australian Newspaper Fiction Database. Cambridge, Ada. aka “A.C.” and “Ada Cross”. —–. “A Christmas Message“, (1879). —–. The Captain’s Charge (1879), serialised in Sydney Mail and New South Wales Advertiser, ch1; links to other chapters via the Australian Newspaper Fiction Database. —–. “Charlie” (1872), published in The Armidale Express. —–. In Two Years Time (1879), serialised in The Australasian, ch1; links to other chapters via the Australian Newspaper Fiction Database. —–. “Our New Chum” (1871) published in The Armidale Express. —–. “Rachel Lindsay” (1878), published in The Capricornian, part 1 and part 2. —–. Up The Murray (1875), serialised in The Australasian, ch1; links to other chapters via the Australian Newspaper Fiction Database. Chads, Ellen Augusta aka “E.A.C.” and “Mrs E A Chads” (circa 1837/1843-1923). “Graham Jocelyn’s Revenge” (1879; short story available via TROVE). A revenge tale with a twist. —–. “How Douglas Cameron Found His Wife” (1879): start 5 May;, 6 May, 7 May, 8 May (final). Couvreur, Jessie Catherine, aka “Tasma”. —–. A Philanthropist’s Experiment (1878), serialised in The Australasian ch1; links to other chapters available at the Australian Newspaper Fiction Database. —–. Monsieur Caloche (1879), published in The Australasian ch1; ch2. Davidson, Harriet Miller (1839-188), A Man of Genius, serialised in The Adelaide Observer, link to Chapter 1: 1 Jan 1872. —–. The Hamiltons: A story of Australian Life, published in serial form in Chambers Journal, 1878: Chapter 1, Ch2, Ch3, Ch4, Ch5, ch6, Ch7, Ch8, Ch9, Ch10, Ch11, Ch12, Ch13 (final). Caveat: This novella contains distressing examples of racism towards Indigenous Australians; the racism is exhibited by the narrator as well as the characters. “Edith.” Olive Vanstone (1878). Serialised in Illustrated Sydney News and New South Wales Agriculturalist and Grazier, ch1; links to other chapters available at the Australian Newspaper Fiction Database. Fortune, Mary Helena (1833-1911), aka “Waif Wander” and “W.W.”. —–. “A Christmas Sketch” (1879), available via TROVE. —–. “One Year” (1878; in 2 parts), I, II. —–. Wongawarra (1876), serialised in Alexandra Times, ch1; links to other chapters via the Australian Newspaper Fiction Database. Franc, Maude Jean. No Longer A Child (1872), serialised in The Leader, ch1; links to other chapters via Australian Newspaper Fiction Database. —–. A Woman’s Faith (1876), serialised in Bunyip, ch1; . —–. Isabella Randall’s Dream (1877), serialised in Southern Argus, ch1; links to other chapters via the Australian Newspaper Fiction Database. —–. Like A Dream (1879), serialised in Southern Argus, ch1; links to other chapters via the Australian Newspaper Fiction Database. —–. Our Carrie (1877), serialised in Southern Argus, ch1; links to other chapters via the Australian Newspaper Fiction Database. Heathfield, Alice. For Ever and Aye: A Sydney Romance. Serialised in Evening News, ch1; links to other chapters via the Australian Newspaper Fiction Database. Heron, E. Australie. The Faeryland of the Genevese: A Prose Idyl (1878), serialised in Sydney Mail and New South Wales Advertise, ch1; links to other chapters via the Australian Newspaper Fiction Database. Hill, Cecilia (?-? ), ‘The Three Troopers‘, in Hopkins, F. R. C (ed. ), The Australian Ladies’ Annual, M’Carron, Bird & Co., Melbourne, 1878, pp. 32-43. See Hill’s spirited reply to an unfavourable review of her novel Checkmated (on TROVE: South Australian Chronical and Weekly Mail, 28 Dec 1828 p20). A snippet on her travels (11 Jan 1890) is mentioned here. Death of Miss Liston.—Very sincere regret will be felt by many of our readers at the I death of Miss Ellen Liston at Marrabel. Miss Liston was a lady of great literary talent, whose writings have been for many years a source of great enjoyment to the readers of the weekly newspapers. For the past two or three years failing health prevented Miss Liston engaging in the literary work which she loved so well, but the charm of the tales and verse which have appeared under the signature of “Ellie L.” will be long re-membered. Miss Liston began her literary career by contributing to the weekly paper published in Adelaide by the late Mr. Sinnett, but for the past twenty years most of her contributions have appeared in the Adelaide Observer. Her novel “The Stauntons” will still be remembered by many of our readers, but “Auckland Marston” will be more familiar to resi-dents in the colony of Victoria, where it was published. Besides these novels Miss Liston wrote many small poems and a number of short stones, which have appeared in the Observer often at Christmastime. Among the latter those which will be most readily remembered are some of the more recent ones—”Tread upon Roses, but Forget Me Not,” “Doctor,” ” Our Domestic Helps,” and “Our Baggage Mule.” Miss Liston has left an unpublished novel, “The Kessons.” Miss Liston was formerly in the Education Department, but failing health compelled | her to abandon the arduous duty of teaching, and for several years and until her death she occupied the position of mistress of the Post and Telegraph Office at Marrabel. The deceased lady was a sister of Messrs. Henry Liston of Adelaide, W. Liston of Kapunda, and D. Liston of Port Adelaide. —–. Auckland Marston: An Australian Story serialised Melbourne Leader 1879-1880: Ch1 & Ch2 (Nov 29 1879); Ch3 (Nov 29); Ch4 & Ch5 (Dec 6); cont. Ch5 (Dec 6); Ch6 (Dec13); Ch7 (Dec 13); Ch8 (Dec 20); Ch9 (Dec 20); start Ch10 (brief; Dec27); cont. Ch10 (Dec27); Ch11 (Dec27); Ch12 (Jan 3); Ch13 (Jan 3); Ch14 (Jan 10); Ch15 (Jan 10); Ch16 (Jan 17); Cont. Ch16 (Jan 17); Ch17 (Jan24); Ch 18 (Jan 24); Ch19 (Jan 31); cont. Ch19 (Jan31); cont. Ch19 (Feb 7 – short); Ch20 (Feb7); cont. Ch20 (Feb 14); Ch21 (Feb 14); cont. Ch21 (Feb 21); cont. Ch21 (Feb21) final. —–. The Stauntons, serialised in Adelaide Observer: Ch1 (May 13); Ch2 (May 13); Ch3 (May 13); Ch4 (May20); Ch5 (May 20); Ch6 (May20); Ch7 (May 27); Ch8 (May 27); Ch9 (May 27); Ch10 (Jun 3); Ch11 (Jun 3); Ch12 (Jun3); Ch13 (Jun10); Ch14 (Jun 10); Ch15 (Jun 17); Ch16 (Jun 17); Ch17 (Jun 24); Ch18 (Jul 1); Ch25 (Aug 12); Ch26 (Aug 19); Ch27 (Aug 26) final. —–. A Bohemian Born (1878). —–. “After Many Years” (1878), published in Evening Journal, chs 1&2. —–. “Breaking the Law” (1879), published in Evening Journal. —–. The Moated Grange (1877), serialised in South Australian Chronicle and Weekly Mail, ch1; links to other chapters via Australian Newspaper Fiction Database. Mathers, Helen, (1853-1920), Cherry Ripe! : a romance, George Robertson and Co., Melbourne, 1878, 439 pp. Meredith, Louisa Ann (1812-1895), Meredith, L. A., ‘To My Husband‘, in Hopkins, F. R. C (ed. ), The Australian Ladies’ Annual, M’Carron, Bird & Co., Melbourne, 1878, pp. 13-14. Merson, Mary J. aka Mrs M J M (1827-1904), Emily Graham; or, The Dawning of light: a temperance tale, James Curtis, Caxton, Ballarat, 1870, 299 pp. —–. Fallen By The Way (1871), serialised in Sydney Mail and New South Wales Advertiser, ch1; links to other chapters via Australian Newspaper Fiction Database. —–. Mrs Ord (1878), serialised in Sydney Mail and New South Wales Advertiser, ch1; links to other chapters via Australian Newspaper Fiction Database. —–. Only Her Woman’s Wit to Aid Her (1872), serialised in Sydney Illustrated News; links to other chapters via Australian Newspaper Fiction Database. Scott, Maria Jane. ** (1822-1899; NSW death registration #6795/1899; nee Barney; married David C F Scott in 1838) aka M.I.S.T. and Spray (children’s fiction), Not So Ugly (1871) Also known as a painter. Spence, Catherine Helen, aka C.H. Spence. —–. Afloat or Ashore (1878), short story serialised in The Australasian, ch1; links to other chapters via the Australian Newspaper Fiction Database. —–. Hester’s Christmas Gift (1878), serialised in Sydney Mail and New South Wales Advertise, ch1; links to other chapters via the Australian Newspaper Fiction Database. —–. The Flower of Botany Bay (1879), serialised in The Inquirer and Commercial News, ch1; links to other chapters via Australian Newspaper Fiction Database. —–. Twenty Straws (1874), serialised in Newcastle Chronicle, ch1; links to other chapters via Australian Newspaper Fiction Database.